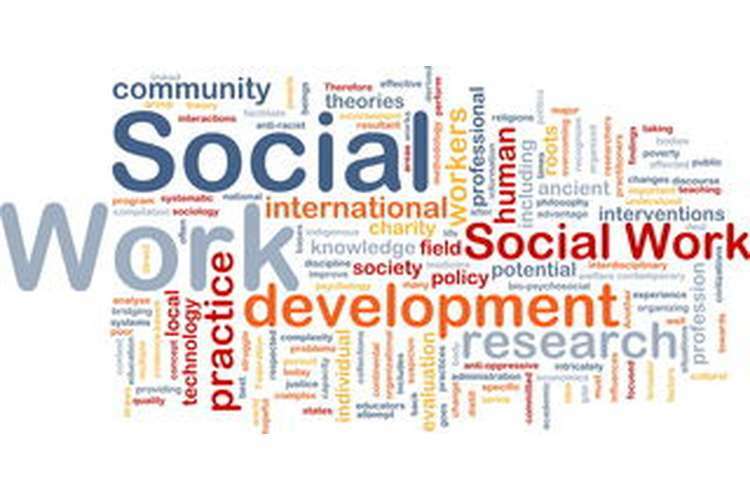 Social work is considered as a profession and an academic discipline that is associated and mostly concerns itself with people, who could be individuals, groups, families or even communities. The concern and the relation to these people are pegged towards enhancing both their social functioning and their general well-being and welfare. Some of the main goals of social work are; Promotion for business development and social change, promotion of social cohesion and peaceful co-existence among people in the society, empowerment of the youths, women and the less fortunate in the society, eradication of poverty by imparting fundamental life skills to people in the society and so on. This write up will look at an analysis of theoretical debates that are relevant to human service organizations, the key theoretical issue that this write is going to analyze in relation to social work is globalization. Relevant evidence and examples will also be provided on how globalization manifests itself in a social work context, the social work setting that is going to be used here Schools. Globalization in social work, but in a school setting. There would be a very lengthy discussion regarding this and its implications on the overall social work practice will also be mentioned. Globalization is very distinct and it has various definitions, it is however often regarded as the process of integration and interaction between individuals, societies, countries, governments and so on. Globalization has grown as grown and increased over time as a result of improved communication and deregulation. Some scholars say that the world has turned into a “small village” as a result of globalization (Rubin & Babbie, 2016). Globalization has so many implications on social work, the availability of transport and all sorts of communication means; crossing of borders has become very easy. Statistics have it that as a result of globalization new social problems have emerged and are growing roots; an example of such social problems is the issue of human trafficking and migration issues. Human trafficking and migration of refugees and some pathetic asylum seekers has become so rampant especially across the Sahara desert, these victims travel so many kilometers across the desert with the hope that they can get to Europe (Payne, 2015).These refugees and asylum seekers need to be looked at; this is where social works gets in. In general globalization has brought so many and different changes in almost all sector of human life and activities. Globalization has so many impacts on social work, as indicated by the illustration above. Great philosophers and academicians argue that globalization has the tendency to increase inequalities between individuals, families, friends and other social settings in the society. These inequalities have in turn resulted to jealousy, hatred and even war. Globalization at times is considered to be unfair since it tends to concentrate power and material wealth to just a few people in the society. This has resulted to wars and a lot of people have been displaced, some have suffered so many severe damages while others remain homeless. As mentioned earlier, social work is a discipline that aims at bringing people together, decision making them one and trying to bridge the gaps that existed in the society by taking care of the general well-being of the people in the society. Study has proven that social work has played a very key role towards reducing some of the injustices brought about by globalization (Padgett, 2016). Despite all the negative effects that globalization has had on social work, there are some positive effects that are so amazing and have really improved social work both as a discipline and as a profession. Through globalization increased interconnections between people and countries has been evident, this has really revolutionized social work as a discipline. People around the globe are now in a position to share very important information regarding social work and also ideas regarding to social work. Different persons from different countries can now share their feelings and how they feel about a certain aspect in relation to social work based on a certain emerging issue. This exchange of ideas and information has really revolutionized social work (Oliver, Sapey, Thomas, 2014). In the school setting, globalization and social work have grown roots and are seen on a day to day basis. Social workers in schools have various tasks that they are to perform. Globalization has come in and has really revolutionized their way of doing things and performing their required tasks. The relationship between the social workers and the students in the schools has also been redefined by globalization (Oliver et al, 2014). Social workers in various schools are now in a position to both develop and also implement treatment plans in order to support students who are self-determined (Rubin & Babbie, 2012). Globalization has made it possible for social workers to not only develop plans but also implement then so as to ensure the well-being of the students in schools. Globalization has brought with it certain means of technology and new discoveries that have seen social work transform into a whole new level. In every school, there are students who are dreamers, they have great ambitions in their lives and they do anything necessary to make these ambitions come true, through globalization, then we see that social workers are now equipped with the right tools that they can use to guide the students towards realizing their dreams and becoming great in the future (Turner, 2017). Globalization has been seen to play a major role towards providing the relevant training and workshops to social workers, teacher, parents and other important staff in the schools. Through this education and empowerment, these individuals are in a position to understand the role of the social workers in the schools and appreciate what they are doing. This has really boosted these activities that the social workers are doing in schools. Statistics have it that 97% of the staff, parents and other stakeholders who are aware of what the social works are doing in the schools support the fully. Once these persons have been empowered, they becoming willing and even go ahead into committing themselves to work for the betterment of the students. In the school setting, it is always about the students and social works comes in handy to see to it that the welfare and well-being of the students is taken care of, that’s to globalization (Garbarino, 2017). Home visit are very important for students. It is the role of social workers in various schools to conduct home visits for the students so that they can get to know and understand the student even much better. Well, globalization has no direct impact on the home visits conducted by the social works since this is primarily known to be one of their roles. Globalization, however, has facilitated the transfer and sharing of means and various ways of conducting these home visits. Through globalization, home visits have been made to be way much appealing, educative and even responsive that before. The social worker is now in a position to fully understand the student both in the school setting and at the home background, this enables the social media worker to determine what the students lacks, they are also in a position to interpret the students behavior based on the two settings, the school and the home setting. Ethical issues do exists in each and every social setting. In schools, it is the role of the social worker to address these ethical issues. Through globalization, social workers have developed means and techniques of not only understanding but also interpreting different ethical issues based on the environment and situation that the issue has occurred. This has in turn facilitated peaceful co-existence among the different stake holders in the school setting. Teachers, students, workers and other staff are now certain that in the case where ethical issues such as ethical dilemmas, then they are well covered (Brinkmann, 2014). From the discussions presented above, it has been proven beyond no reasonable doubt that the effect of social work and practice aimed at changing lives, taking care of the well-being of the less fortunate in the society, poverty eradication among others depend so much on globalization (Kadushin & Harkness, 2014). Though globalization has been ridiculed by some of the greatest philosopher and academicians to the reason behind the increasingly widening gap between the poor and the rich, it still has some positive implications (Dominelli, 2017).Well illustrated explanations have been seen from the above discussion. The school setting has been used as a means of expressing the role that globalization has played in transforming social work and its quality over time. 1. Brinkmann, S. (2014). Interview. In Encyclopedia of critical psychology (pp. 1008-1010). Springer New York.???? 2. Dominelli, L. (2017). Anti-racist social work. Macmillan International Higher Education. 3. Garbarino, J. (2017). Children and Families in the business environment: Modern Applications of Social Work. Routledge. 4. Healy, K. (2014). Social work theories in context: Creating frameworks for practice. Macmillan International Higher Education. 5. Ife, J. (2012). Human rights and social work: Towards rights-based practice. Cambridge University Press. 6. Kadushin, A., & Harkness, D. (2014). Supervision in social work. Columbia University Press. 7. Oliver, M., Sapey, B., & Thomas, P. (2012). Social work with disabled people. 8. Padgett, D. K. (2016). Qualitative methods in social work research (Vol. 36). Sage Publications. 9. Payne, M. (2015). Modern social work theory. Oxford University Press. 10. Rubin, A., & Babbie, E. R. (2012). Brooks/Cole Empowerment Series: Essential research methods for social work. Cengage Learning. 11. Rubin, A., & Babbie, E. R. (2016). Empowerment series: Research methods for social work. Cengage Learning.